We’d love your help. Let us know what’s wrong with this preview of Journaling Basics - Journal Writing for Beginners by Lisa Shea. Journaling was embraced by Leonardo da Vinci and it kept Bob Dylan's lyrics insightful. Anne Frank's journal shared poignant moments in her too-short life. Basho, the famous poet, kept a journal of his travels. Journals can help you release stress, develop forgiveness, embrace your past, adore your future, and explore aspects of your creativity that you never knew existed. Journaling was embraced by Leonardo da Vinci and it kept Bob Dylan's lyrics insightful. Anne Frank's journal shared poignant moments in her too-short life. Basho, the famous poet, kept a journal of his travels. Journals can help you release stress, develop forgiveness, embrace your past, adore your future, and explore aspects of your creativity that you never knew existed. Journaling Basics - Journal Writing for Beginners takes your hand and guides you on a journey of emotional healing and creative blossomings. From deciding what to journal in to investigating the different styles journals, the 160-page book is there every step of the way to offer insight, ideas, and suggestions. 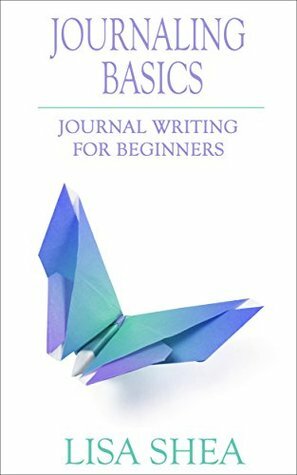 To ask other readers questions about Journaling Basics - Journal Writing for Beginners, please sign up. I have been keeping a journal off and on for years. I start out strong and then, WHAM! I let it go because I run out of things to write about. In this book, Lisa gives practical ideas and thoughts on this great way to clear the fog from our brains and how she does her journaling so we do not feel so alone if we are thinking about it. The best thing about this book besides the length is the advice. I was so impressed with the simplicity that Lisa presented this with. I found it easy to think abou I have been keeping a journal off and on for years. I start out strong and then, WHAM! I let it go because I run out of things to write about. In this book, Lisa gives practical ideas and thoughts on this great way to clear the fog from our brains and how she does her journaling so we do not feel so alone if we are thinking about it. This little book almost feels like cheating to count it as one of my "Goodreads" books. I read it in an afternoon in January while preparing for a journaling workshop for people with cancer (Multiple Myeloma). As a basic introduction to journaling, it is excellent, but it feels more like a light meal of tapas instead of a hearty breakfast for beginners. I'll confess, however, I used several of its ideas for my workshop. I created a slide presentation that motivated a few people to start and keep This little book almost feels like cheating to count it as one of my "Goodreads" books. I read it in an afternoon in January while preparing for a journaling workshop for people with cancer (Multiple Myeloma). As a basic introduction to journaling, it is excellent, but it feels more like a light meal of tapas instead of a hearty breakfast for beginners. I'll confess, however, I used several of its ideas for my workshop. I created a slide presentation that motivated a few people to start and keep up with a journal, according to comments a few months later. In fact, I got several requests for my slides, and I made sure to recommend Ms. Shea's book as well. I trust I helped sell a few copies. I find that many people are intimidated by the thought of creating a journal. Perhaps the biggest hurdle is preconceptions about journaling. I think "Journaling Basics" does a good job of letting the reader know that a journal is whatever you decide it to be. At the end of the workshop, those that lingered with more questions and/or comments passed on an almost universal comment: "I'm not writing literature. I'm not creating a legacy. I'm simply using a journal to search for myself." One idea that came from Ms. Shea's book that I used in my workshop was that I took a box full of my own journals. They came in various forms that I'd utilized over the years: bound, spiral, loose leaf, etc. I also used the "www" to find pictures of various types of journals but emphasized that the best ones were not expensive, showy journals that by definition intimidated. Over the years, I've found that the loose leaf fit my style best, and I still use those after about 30+ years. For someone wants to start writing. Free. Basic. Some interesting thoughts on journaling 'your' way. A simple, easy to read introduction on the subject of journaling. Nothing is very in depth, and you could probably get all this information and more from a few searches on Google, but it's nice to have it all in one place. Shea covers what you can write with and in/on, where you can write, and gives tips on what to write about. It's given me some ideas of things to do in future. If you're curious about journaling and have never done it, or haven't done it in decades, it's a good place to start. On A simple, easy to read introduction on the subject of journaling. Nothing is very in depth, and you could probably get all this information and more from a few searches on Google, but it's nice to have it all in one place. Shea covers what you can write with and in/on, where you can write, and gives tips on what to write about. It's given me some ideas of things to do in future. This is a great book for someone who wants a quick intro to journaling. She does a great job of giving the highlights of the types of journals, writing tools, and I like that she encourages you to journal how YOU want to, not beat in a prescribed method. If you want someone to tell you the "correct" way to journal, this book is not for you. Although I've been journaling since I was kid, I still find this book quite helpful when you feel stuck in an old habit and need some changes. I haven't tried all the suggestions this book recommends, but I keep them in mind. This little book provides me with just everything I need to delve into journaling; a practice I once thought could help me, but fear would not let me enjoy it. Most of the ideas in this book were obvious but the author still inspired me. I liked the short chapters that focused on one aspect of journaling. Personally, I've been journaling since middle school and have several diaries, notebooks, journals, and notepad This is a very much beginners guide to journaling. Lisa Shea starts with what to write on, and what to write with, including electronic journals. Then she moves on to types of journals: diaries, dream journals, health logs, and so on. Then onto prompts and what to write about. I mostly read this book because I was bored. Sadly it didn't help much with that. I didn't find any new information in this book. A great book if you are starting out or looking for a different way to do things. I have been journaling for decades. This informative guide could be useful for the novice or someone just starting out. At first, I thought this was a bit too basic but as I continued, I could definitely see the value in recommending to a tween or someone brand new to journaling. While for most people who have journaled for a bit, the info would be a review, there are some bits in there to spark a rethink of how you journal, what tools you use, when you do it, etc. Looking forward to using some of the author's writing prompts in other releases. A beginner's guide to help you keep a journal. If you have no idea what you can write in your own journal, this book mentions several types of journals (diary, dream journal, weight loss journal, enterpreneur journal, pregnancy journal, etc.) and some practical tools to use. If you've already read some books featuring this topic, then you might find this book too short and simple for your liking. this was an awe-inspiring read. made journaling look easy and sound fun. she provided practical tips and the writeup was easy to connect to. she has her own stand and doesn't force her ideas down your throat. Overall good read. If you need to know that you can keep a journal on any type of notebook or even a computer this book is for you. If you need to know that you can write in a journal with pencil, markers, nice pen or even colored pencil, then read this book. Great variety and inspiration. I read this book out of curiosity but would recommend it to others. Learned tricks that I'd definitely use. Interesting. This covers basic journal writing techniques and themes. It's more than the "diary" you may have kept in earlier years. Good source for beginners. I thought the book was very useful in helping me to understand journaling. The author also gave suggestions of topics to start a journal with. I expected a lot more. This is beyond basics. This is journaling for people who have never heard of journaling. An OK introduction to Journaling, probably best for those who have no previous experience at all. Very short, kind of like an extended blog post. Lisa has writ Lisa Shea is a fervent fan of honor, loyalty, and chivalry. She brings to life worlds where men and women stand shoulder to shoulder, steady in their desire to make the world a better place for all. Most of her profits are donated to support battered women's shelters.